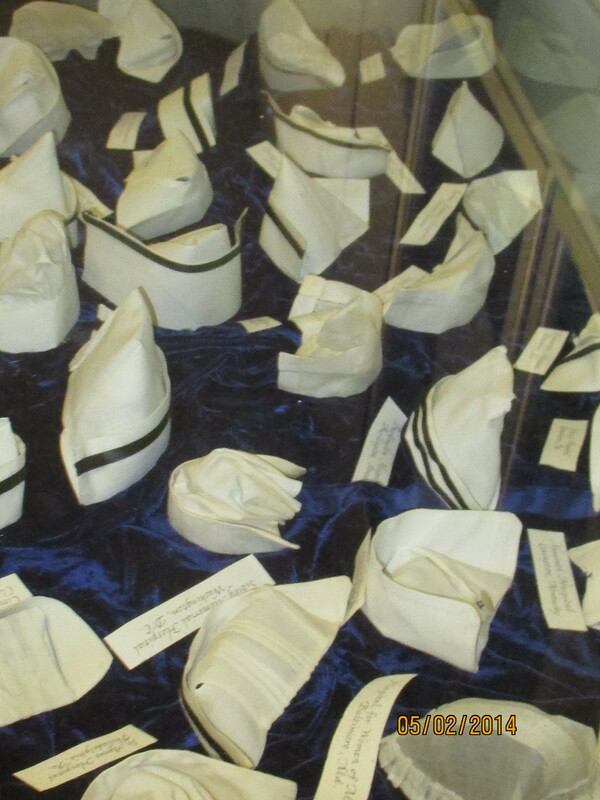 The Navy Nurse Museum has changed focus and their collection of School of Nursing caps has been deeded to the Museum of Nursing History as well as nursing school pins. We are pleased to be chosen as a repository for this cap and pin collection. With this latest addition, a visit to the museum should be on your to-do list. We have 85 caps on display. A display of a portion of the recent addition of a collection of School of Nurse caps.